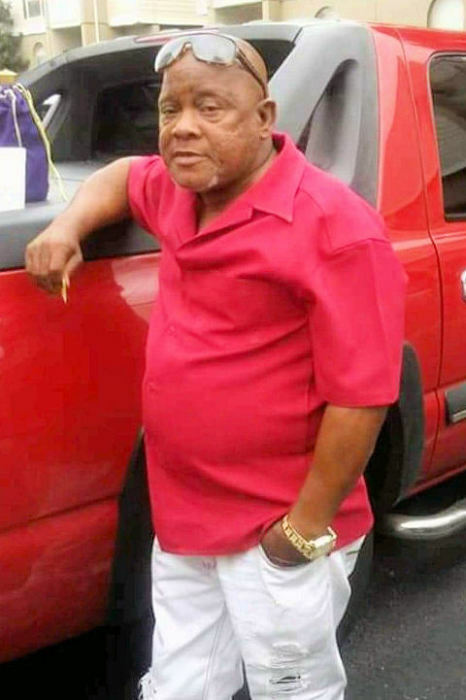 Obituary for Willie Jay Houston | King-Tears Mortuary, Inc.
Willie J. Houston was born to the late Mrs. Ella M. Houston Anderson on May 14, 1952. He accepted Christ at an early age and confessed that God was his Savior. Willie Jay attended schools in the Austin Independent School District. Willie J. was mainly known for being well dressed. Everything had to be clean and starched. His favorite pastime included riding through Givens Park, watching westerns or gangster movies, as well as the Texas Longhorns and Dallas Cowboys football games. His most joyous pastime was spending time with his family while playing cards and dominoes. Willie J. was preceded in death by his mother Ella M. Anderson; stepfather Eugene Anderson, Sr.; great aunts Ada Milam (who raised him) and Idella "Lou" Harrison; great uncle Tom Eddie Harrison; sister Paula Eason; brothers Eugene Anderson, Jr., Clarence (Danny) Eason, William Eason and Tommy Lee Eason; and brother-in-law Preston Bell, III. Willie is survived by his lifelong companion Patricia Diane Holley; daughter Alecia L. Francis; son Christopher Holley; extended family Keisha and Robo Carathers; grandson Michael Francis and granddaughter LaKeidra Carathers. Willie Jay is also survived by his sisters Gloria Houston (Jarvis), Debra S. Mills (Curtis), Lisa Aldridge (Arthur), Sandra Eason-Anderson (James), Patricia Bell and Sonia Anderson; sisters-in-law Angel Holley and Carolyn Holley; mother-in-law Archie Holley; godmother Erlene Sibley; brothers Deion Eason (Melissa), Michael Eason (Missy), Donald Anderson (Regina), Ricky Eason and Robert Anderson; aunt Alice Houston and uncle A. C. Houston (Bobbie). He also leaves to cherish his memories a host of nieces, nephews, great nieces and great nephews; his best friends and brothers from another mother Donald Ray Samuel, Robert "Babbo" Felder, James Brown, Edgar McMillan, Alton Cyphers, Willie Wright, Larry Houston, George Clark, Milton Guyton and "special nephew" Mark "Boss" Martinez. There's still time to send flowers to the Graveside Service at the Travis County Wells School Road Cemetery at 11:00 AM on April 25, 2019.